Michael Franti and Spearhead are always one of the music world’s most upbeat and invigorating acts, but the kinetic 6-foot-6 frontman has even more reason to be eager to hit the stage on their current “Once a Day” tour. The single, scheduled to be released to radio June 15, was the result of some rough family news for Franti. Like his mixed heritage, Franti’s musical journey has been a mixmaster. Shortly after college (the University of San Francisco) he was part of the Beatnigs, which mixed punk rock and spoken word performance. Moving more into a funk and hip-hop palette, he next headed the Disposable Heroes of Hiphopcrisy. 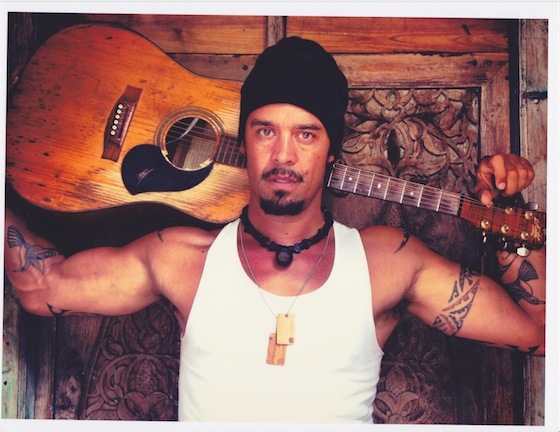 Franti’s writing and musical style moved even more toward funk and soul, reggae and worldbeat after he founded Spearhead in 1994. Franti’s lyrical style also evolved, from pointing out society’s disparities and shortcomings in his early work to urging people to coexist peacefully and joyfully in his later work. While his 2000 album “Stay Human” has been described by the singer as “half venting” and half suggesting how to cope with problems, by 2003’s “Everyone Deserves Music” the message was more about affirmation and good vibes. The album Franti and Spearhead recorded in 2008 with reggae legends Sly and Robbie at the helm produced the hit single “Say Hey (I Love You),” whose simple infectious joy made the group a festival favorite all over America. Franti and Spearhead continued their hot streak of solid, dance-happy albums full of such positive anthems with 2010’s “The Sound of Sunshine” and 2013’s “All People.” The latter album yielded the hit single “I’m Alive,” the latest in a long line of tunes that find the (usually) barefoot singer reveling in the sheer wonder of living and loving in the moment. Franti’s next album will include several tunes that deal with social issues and living in a difficult world, yet with his usual optimistic outlook. Franti, who recalls his performance at the Life Is Good Festival in Canton a couple years ago with fondness, said he always enjoys Boston-area shows.